Hey everyone! Just a reminder that my place value items are on sale (20% off) until tonight on Teachers Notebook, so if you haven't gotten them already, check it out. 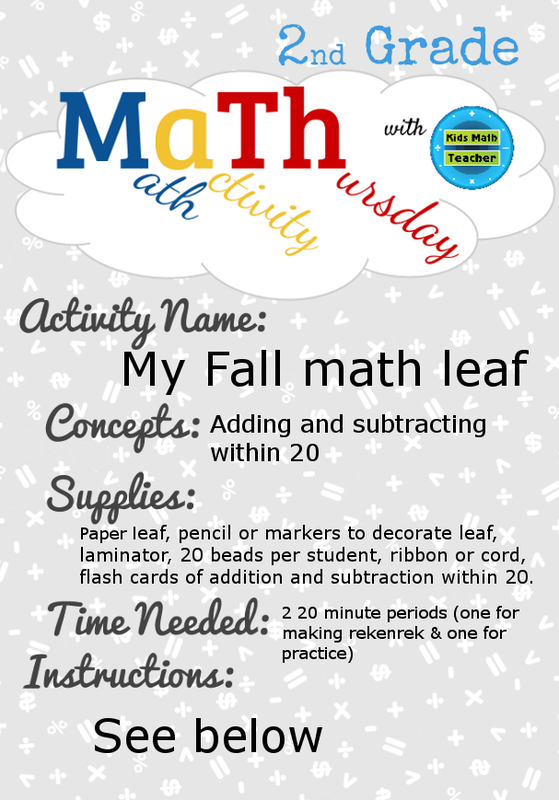 Today for MaTh we'll make a fun fall Rekenrek to practice adding and subtracting within 20. 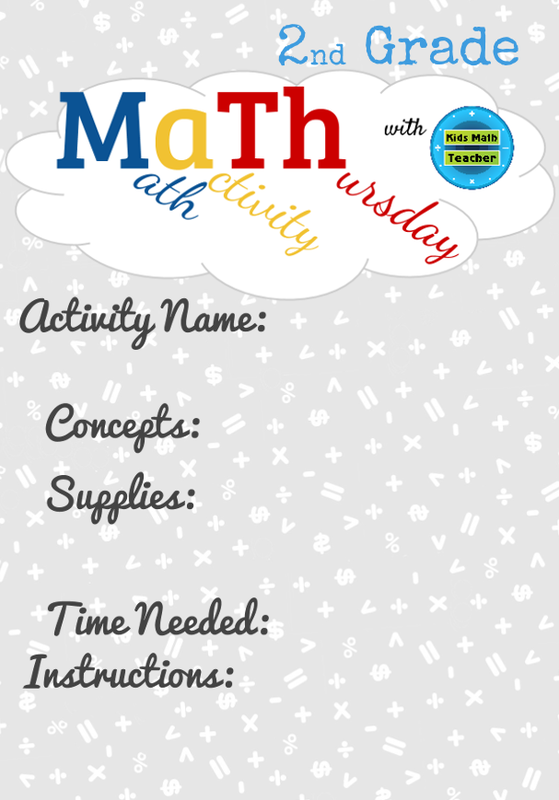 You can join in the linky MaTh party for a few more days (this is our last week on 2nd grade--next month 3rd). and this is what it looks like after it is put together. Kids can decorate and put their name on their personal Rekenrek leaf. 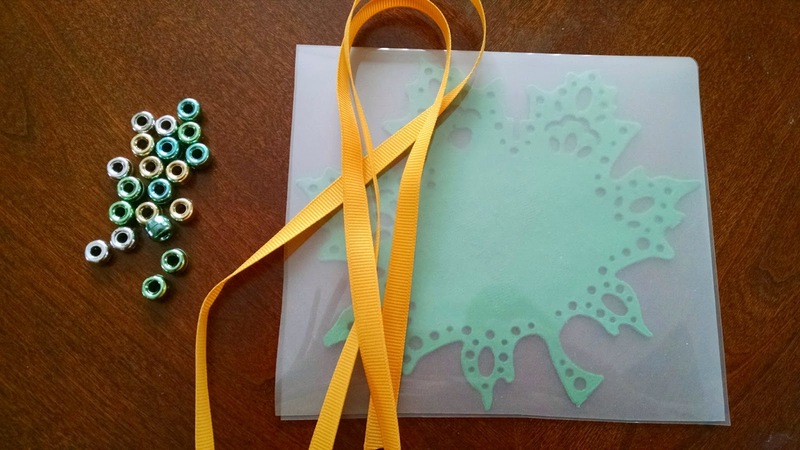 Instructions: Once you have assembled the Rekenrek by stringing all the beads and tying the ribbon in the back it is time to play! Have students practice a few problems of their own (9+8=_, or 7 +3=_) saying it quietly to themselves. Then have them practice with flash cards as a class, small groups, or individually. Rekenreks are great because it helps the children see how single digits relate to the 5 and 10. 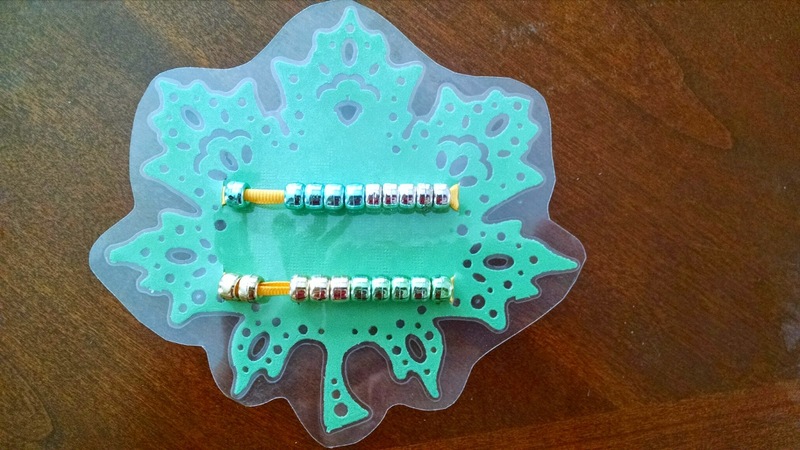 They can see that 8 is actually 5+3 and when they are adding another number to that, such as 3, they can visualize and move the beads to see that two more makes ten and then there is still one more bead for a total of eleven. 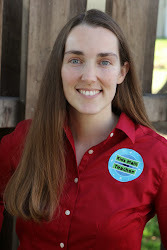 See you Saturday with a special guest blog post! Love the idea of making the rekenrek fall themed! Do the kids tie the rekenek themselves? What a cool idea! Great question! You can have them try but most likely an adult will need to do it (or older sibling if at home). I forgot to mention that you can also use two pipecleaners instead and that is easier for kids (I couldn't find my pipecleaners the other day). Thanks for stopping by!